There is so much for baby to love in this little peanut gift set. Each set includes a soft velour elephant plush, a lovie blanket, a round rattle, and a door hanger packaged beautifuly in a fabric basket. 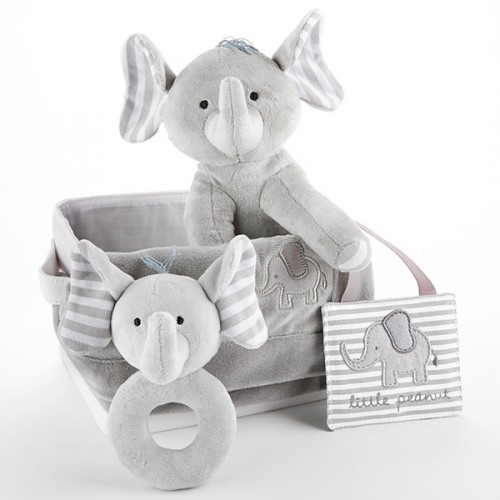 Show your love to baby with this adorable elephant themed gift set.